Belgian Retro Night is back! The hottest Belgian RETRO concept is bringing a load of Easter eggs, hot Easter Bunnies and 100% pumpin' RETRO! A 100% Easter RETRO sensation! Sunday April 21st at Rio Club Sint-Katelijne-Waver! 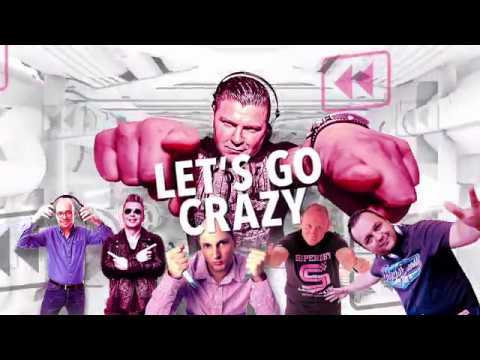 With legendary dj's Wout, Philip, Sven Lanvin, DJ Jan, DJ Gert, A-Tom-X, Jean Delaru, David DM & Stijn VM! The pictures made at 25 years House of God are online! Check them here! Want op 30 april komen ze naar Rio Club in Sint-Katelijne-Waver! Samen met Sven Ornelis, Wout, Jan Vervloet, Kurt Verheyen, David DM én Dolle Jo herbeleven de 90's is een notendop! Opgelet: geen VVK. Enkel inkom aan de kassa! But there are also some things that will never change: Illusion is proud to return to the Beach at Beachland Festival 2019 and we're presenting 2 days of RETRO-madness! Good news for the fans of the harder styles! This edition we're bringing the bass back to Saturday and we're bringing a FULL Classix edition! On Sunday MC Chucky will present Hard by Nature. More info about that later! 25 Years of House of God. Beachland Ticketwave #1 sold out! Wave #2 online!